For whatever reasons, I’ve enjoyed more Pinot Noirs this year from the other 46 states than ever before. 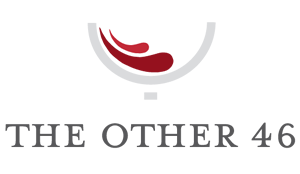 From the Finger Lakes in New York to the Snake River Valley in Idaho, quality has improved to the point where these emerging Pinot Noir regions can no longer be ignored. So it should come as no surprise that tonight’s wine is another fine example from the other 46 states. Located on the Old Mission Peninsula in Traverse City, Michigan, Chateau Chantal combines picturesque views, vineyards and hospitality into a nationally recognized wine destination for visitors. The European-styled winery sits on a 65-acre estate overlooking the bay. The winery produces 18,000 cases a year including Riesling, Chardonnay, Pinot Grigio, Pinot Noir and Cabernet Franc. 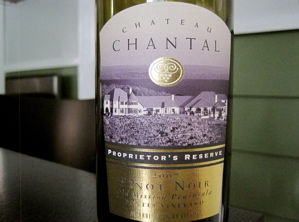 A single vineyard designate wine from the Pontes Vineyard, only 209 cases were produced of the Chateau Chantal Proprietor’s Reserve 2007 Pinot Noir. A new world Pinot Noir, the medium-bodied wine exhibited consistent notes of dark berries, cherries, plums and spice on days 1 and 2. A ripe, fruity wine that showcases the potential of Michigan and especially the Old Mission Peninsula as a promising Pinot Noir region. Cheers!